When I learned that Carrie Fisher had died, I was at work so I couldn’t cry. 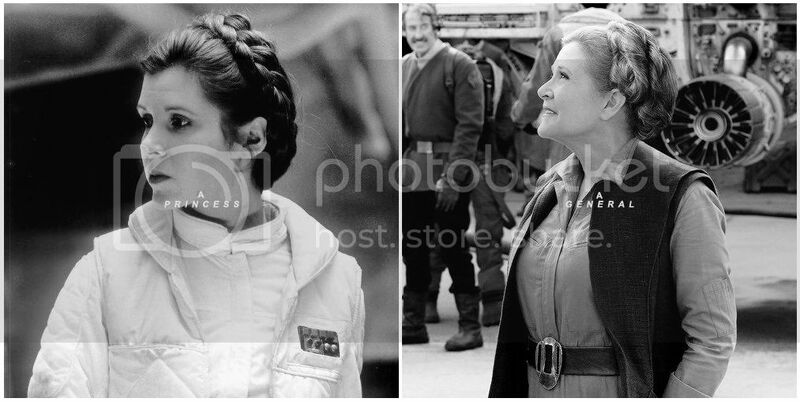 There was no time for tears, but my heart wasn’t in my job because I now knew that the amazing woman who played Princess / Senator / General Leia Organa was gone. It’s so strange, surreal, even, because only a few days ago my friends and I watched the Star Wars Holiday Special and Episode IV: A New Hope. One of them mentioned that Carrie Fisher was in the hospital after having a heart attack on a plane. I remember thinking, “Oh man, I hope she gets better soon,” but I don’t any of us had any doubt that she would recover and go on being her feisty, witty self. But she didn’t. (And as if that tragedy wasn’t enough, her mother followed suit the next day.) Part of me still doesn’t believe it. Or rather, doesn’t want to believe it. Didn’t write any more short stories. Totally failed at NaNoWriMo this time around. Haven’t added any other creative activities to my routine. Regained almost all of the weight that I lost. Not sure if depression is nibbling at the edges of my psyche again, or if it’s just normal stress and winter doldrums. So… yeah. *sigh* Okay, now I need to focus on what I did accomplish. Today we’re going to talk a little bit about the latest addition to the Marvel Cinematic Universe: Doctor Strange.